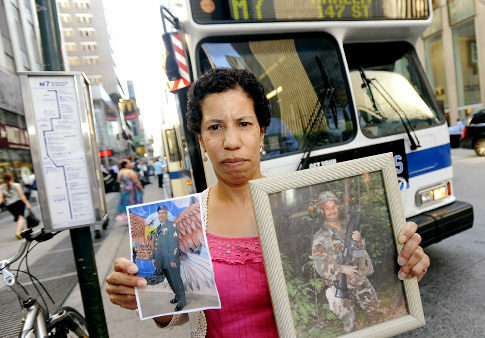 Gertrude Taylor holds photos of her brother Alvin Taylor, who is currently on tour of duty in Afghanistan and is facing losing his job as an MTA bus driver. 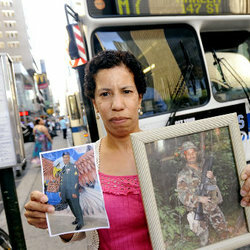 Two city bus drivers who were sent to war in Iraq and Afghanistan are getting pink slips instead of yellow ribbons. Sgts. Alvin Taylor and Anddy (Angel) Moreno, bus drivers called up to serve overseas, are set to lose their civilian jobs this weekend as part of massive transit budget cuts. 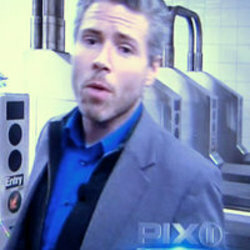 WPIX: What else does the MTA have up its sleeve? Listen to some new labor leaders on the New York City scene, and you might think we're back in the union movement's take-no-prisoners days of the 1930s. We're not, of course, but something intriguing is going on - and it has national implications. Outraged bus drivers will hold a pool tournament this afternoon outside MTA CEO Jay Walder’s Tribeca home in response to his complaint they play pool and pingpong on the clock. 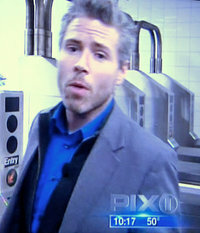 They say the MTA created the hated swing shifts that leave them idle for hours. 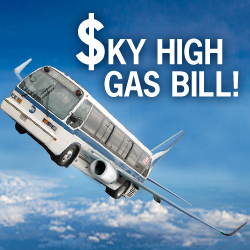 MYFOXNY.COM - A new audit claims that New York City Transit and the MTA Bus Company spent millions of dollars on jet fuel to power busses instead of cheaper, lower grade fuel that would power the vehicles. The New York State Comptroller's office says the agencies spent an extra $39 million on fuel due to wasteful practices and improper oversight. Comptroller Thomas DiNapoli says the MTA Bus Company’s records showed unexplained discrepancies in fuel delivery, quality and usage. Chasing cheap and misleading headlines is a cheesy way to do business.